One thing a novice needs to remember about the Joshua Tree Park is that you have to prepare for its climate. It’s practically a desert, which means during the summer, it can be extremely hot. On the other hand, the nights it can be very cold. Make sure you are prepared for these extremes in weather. Prepare clothing and gear appropriate for the times that you will be there, and pack plenty of water as well as salt to maximize hydration. The Joshua Tree National Park offers a Day Pass and an Annual Inter-Agency Pass. If you only plan on visiting the Joshua Tree Park once or twice, then the Day Pass is the most cost-effective idea. But if you plan on making the park a regular destination (and you should! ), the Annual Pass will be cheaper in the long run and will be more convenient, as you no longer have to deal with the hassle of buying a Day Pass every time you get to the park entrance. See just how beautiful the Joshua Tree Park can be. Food – bring your own food, preferably ones that do not spoil easily. The extreme weather in the park will make perishable food rot that much faster. It might be a good idea to pass by any of the numerous grocery stores in Twentynine Palms or in Yucca Valley before you start pitching a tent at the Park. Joshua Tree’s town itself has no large market, but there are a few quick stops where you can get gas, beer, soda, and various knick-knacks if you’re short on supplies. Water – it’s a desert. You won’t find any natural sources of water in the park except at the West Entrance, Oasis Visitor Center, and the Ranger Station at Indian Cove. You can refill containers at the park entrances, but they are not free. Climbing gear – you should at least have the basic safety gear for rock climbing. If you don’t have one available, stop by any of the outdoors shop near the West Entrance of the park. 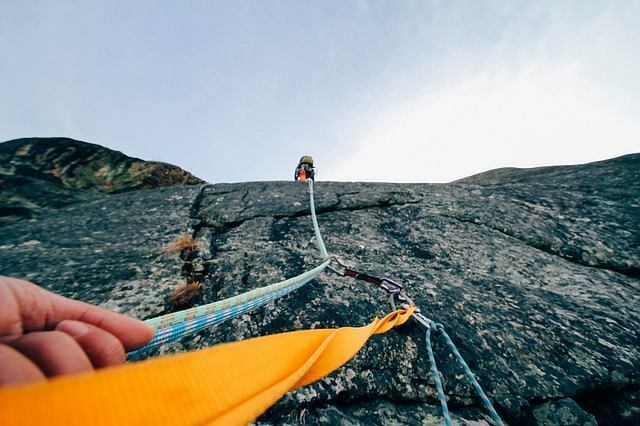 Last but not the least, it is not smart to go at it alone if you are a novice climber. You can get friendly, experienced guides who will keep you safe and show you the basics at Uprising Adventure Guides. The importance of having a climbing guide is not the type of thing you should underestimate. You want to keep your first climbing adventure memorable, but you also need to make it as safe as possible.